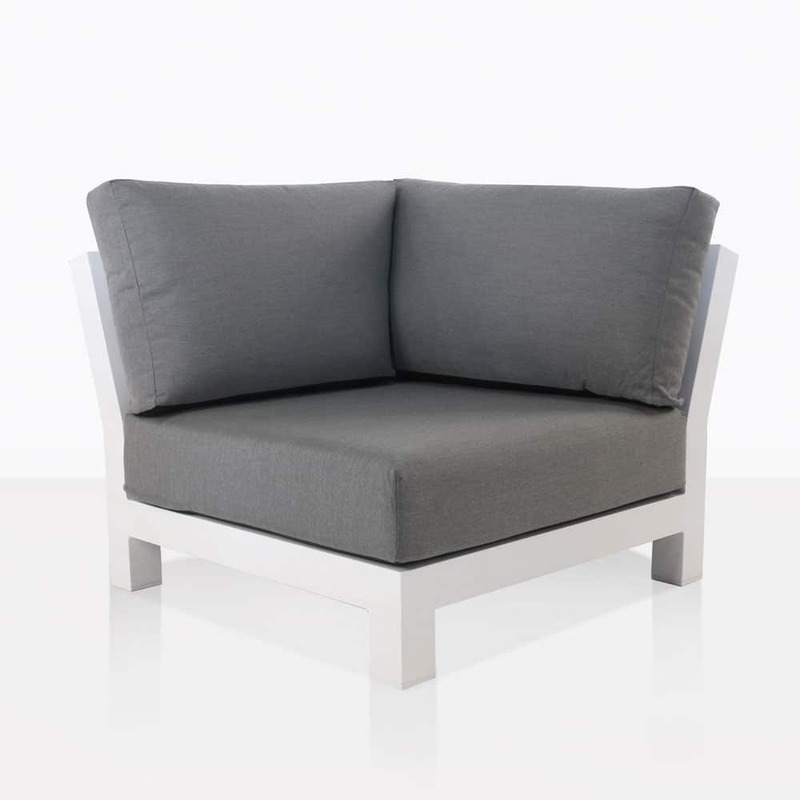 Facilitating amazing shapes in its extraordinary design is the South Bay Outdoor Sectional Corner in sleek white. The ‘cornerstone’ of a marvelous collection, the South Bay Corner enables you to have extreme versatility in shaping your outdoor area. A collection named for its attributes that share traits with the South Bay area in sunny California, the SB Collection is both sophisticated and casual, urban and welcoming, fresh and comforting. 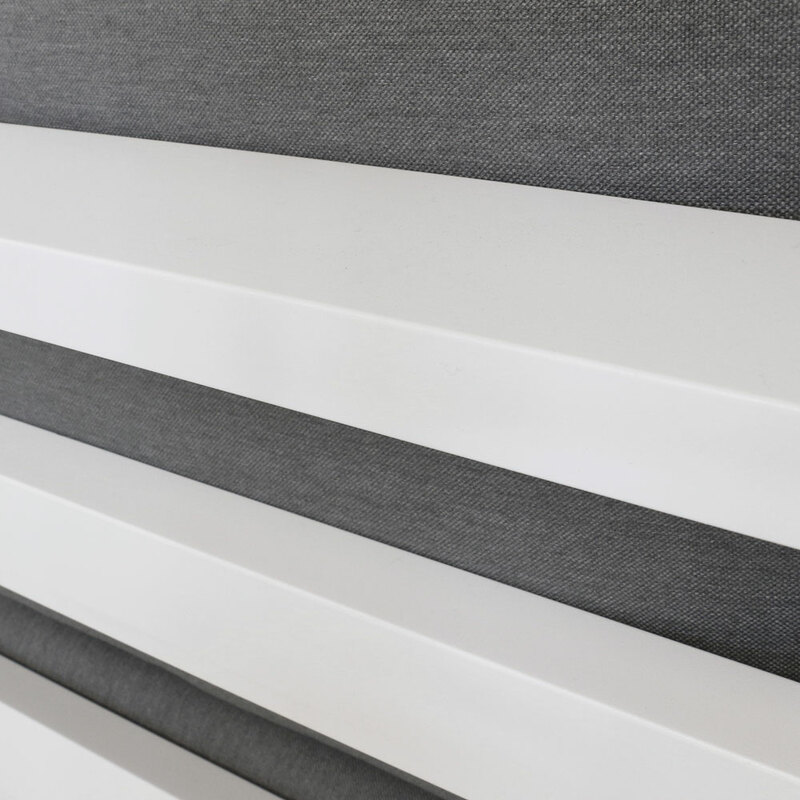 Each piece showcases a sleek white aluminum framework, where strong lines of linear and angled paneling are satisfyingly placed to create a lightweight, industrial and overall contemporary feel. 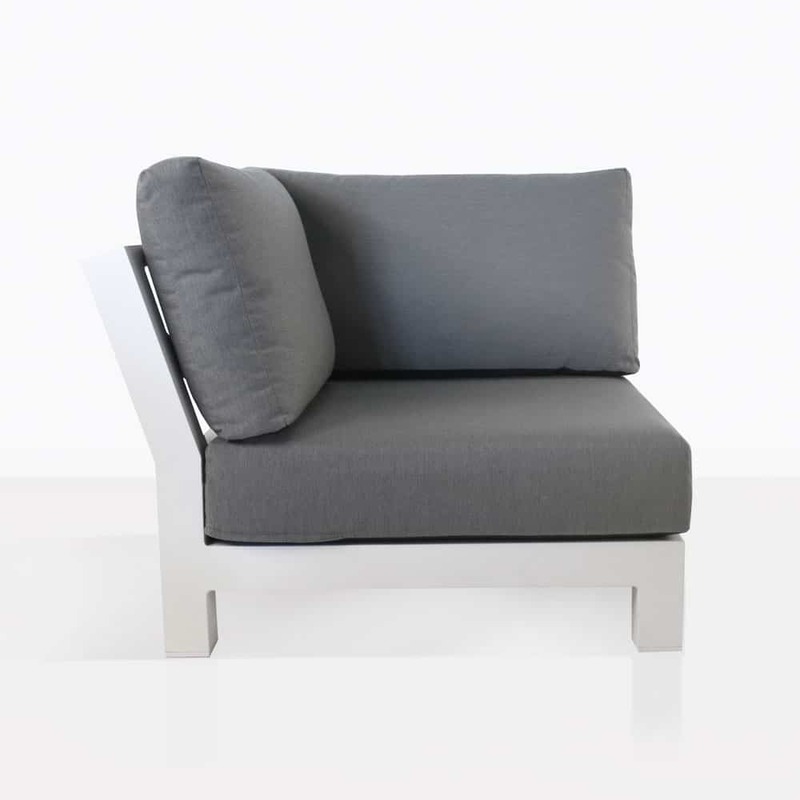 The seats then are garnished with soft Sunbrella® cushions in grey, illuminating the comfortable situation on offer. Is your courtyard yearning for a gorgeous seating area to welcome friends into for casual dinners under moonlight, in the comfort of your home? Why not set up a luxurious open C with three of our Sectional South Bay Sofas with Corner pieces allowing you to change direction and really open up the space! Pop a couple of our South Bay Ottomans in front for additional seating, or just to put your feet up as you unwind in utter bliss! Place two South Bay Corners against each other for a charming loveseat configuration in a smaller space. Place a couple of planters at each side and relax into your stylish, comfortable South Bay Loveseat! This collection is available in both white and charcoal ensuring that you have choice and versatility when planning your outdoor area! Our South Bay Collection is made from hard wearing outdoor materials that enable you to enjoy your furniture year round! White powder coated aluminum makes up the framework which deters corrosion, and the Sunbrella® fabric is through dyed and UV treated for additional quality comfort! 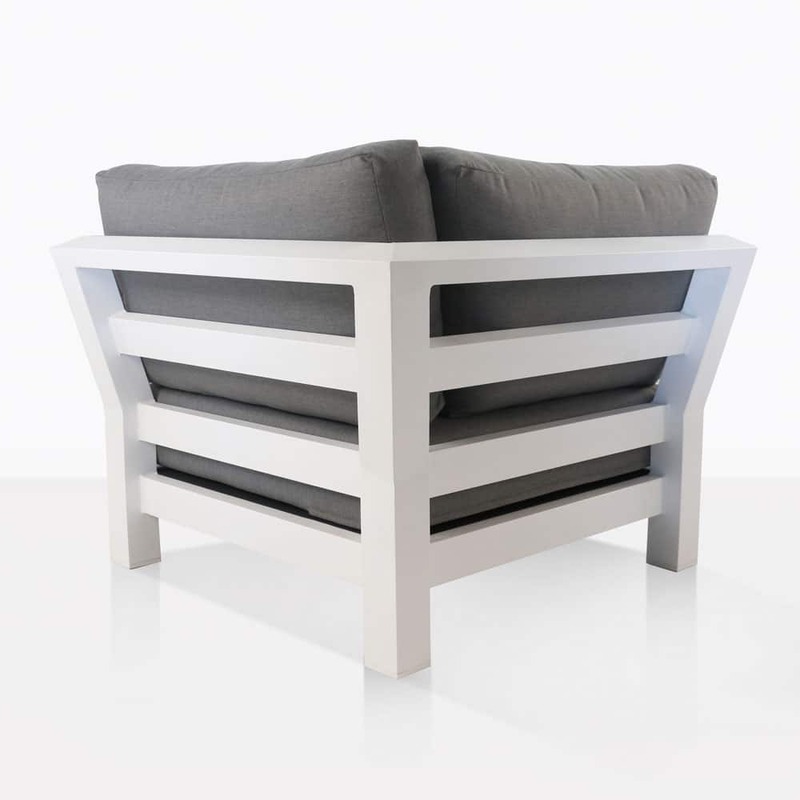 With minimal maintenance, your furniture will look amazing for years and years to come! Call us now to order your incredible pieces from the illustrious South Bay Collection!